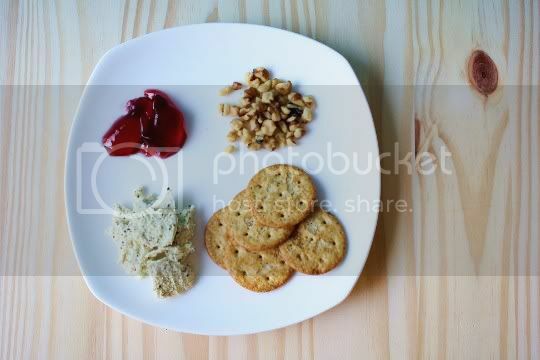 As a vegetarian on the eventual quest to veganism, I'd definitely say cheese is one of the hardest things to give up. Sure, there are lots of cheddar, American, and mozzarella substitutes out there, and they've come leaps and bounds since the ones I first tasted a few years ago. But what about les stinky fromages?! I love them all: blue, Gorgonzola, Roquefort...the more moldy, the better. 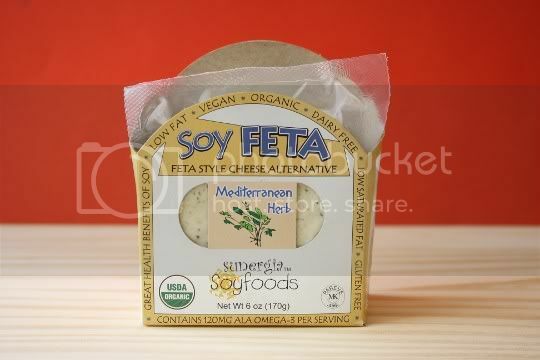 So imagine my surprise to come across the tofu-based Sunergia Soyfoods Cheese Alternatives, totally by mistake during a random Whole Foods visit. In flavors like Soy Bleu and three different varieties of Soy Feta, their cute packaging and decent price screamed out for me to try them. I admit, I was scared to try this. The typical vegetarian who can't give up cheese and thinks all soy variations are absolutely horrid...until this. OMG. This stuff tastes JUST LIKE BLUE CHEESE...and that's coming from someone who still eats the real stuff! Seriously, it's all there: the stinkiness, the moldy taste, the pungent and super savory flavor. In fact, all of that flavor totally masks the very tiny hint of tofu in the background. As far as flavor comparisons go, I think you could TOTALLY fool someone into thinking this is real blue cheese. And how about only 25 calories and 1 gram of fat per ounce?! Beat THAT blue cheese! The only real difference is the texture. 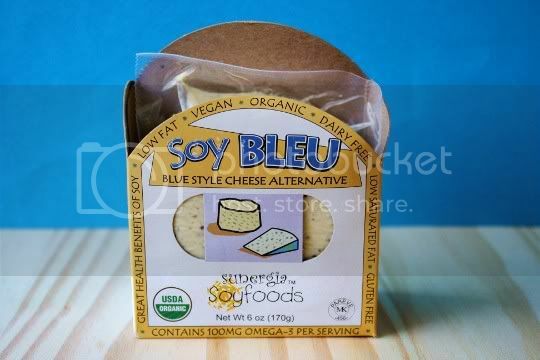 Unlike the real stuff, which is creamy and spreadable, the Soy Bleu is more tofu-like. It's a bit rubbery and firm; it does crumble, but into big flat pieces rather than actual crumbles. Also, it doesn't melt, so this would be best used in recipes that call for blue cheese used cold. It does get hot and a tad bit softer, but it still keeps its rubbery firm texture. My faux fruit and cheese plate shown here was gone in about 5 minutes; really, I couldn't stop eating it. 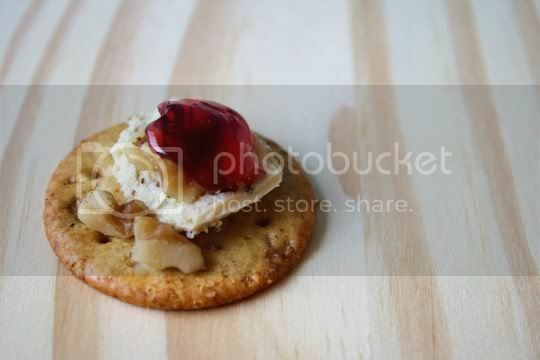 The stuff is DELICIOUS on crackers with some added sweetness (red currant jelly is shown, I didn't have any fruit). I know this would go great with typical blue cheese pairings: pears, apricots, cranberries, etc. 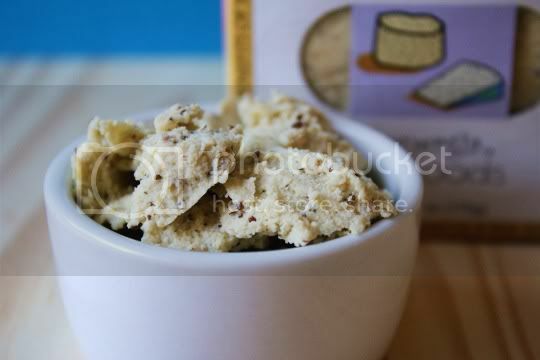 And just think how great this would be at a wine and cheese party! Bring this stuff to your next one, and watch in amazement as your omni friends gobble it up. This has to be the first soy cheese I've ever seen and tasted that really fits the bill. Making something as complicated as a blue cheese substitute must be quite a feat, and Sunergia truly scored a win with this one!!! I'm not a huge fan of feta cheese; there's something about the ultra salty and briny flavor that I think is only good in small doses. However, I'm still open to all vegan substitutes. After my pure elation with the Soy Bleu, imagine my severe disappointment with the Soy Feta. First of all, it DOES NOT taste like feta--any kind of feta I've ever had. 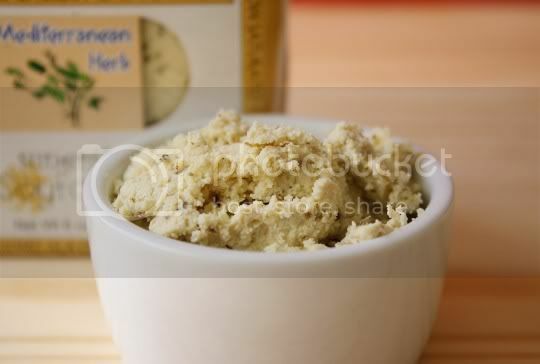 In fact, it tastes more like herbed cream cheese, specifically flavored with rosemary and oregano. In feta...huh? For some reason, there was something sweet-smelling about it. Again, not very feta-like. The texture is about the same as the Soy Bleu: dry, crumbly, and flaky...but it seems even more so. And because of the unappetizing and can't-fool-anyone flavor, the texture just makes this stuff even worse. Of course knowing that it won't melt, there's really no point in eating this in my opinion. Unless you eat it as-is on salads and the like, but I really don't think you'd enjoy it. 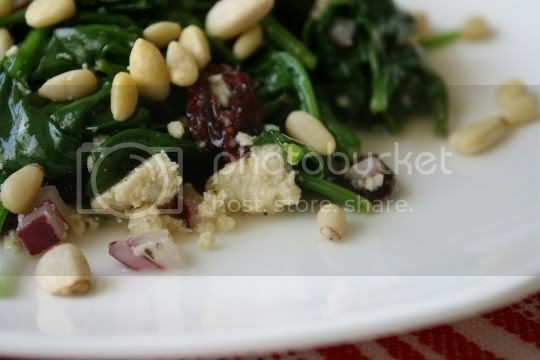 I added this to a spinach salad I made that called for (regular) feta cheese in the recipe. But a satisfying substitute it was not. The feta didn't get creamy (like I think was the assumed result from the recipe), but just remained rubbery chunks that got wet and soggy from the dressing. Weird. Thanks!! As another vegetarian who is an aspiring vegan with yummy cheese keeping me from the finish line, it's great to hear about a decent blue cheese alternative. I'll have to try this! how do I purchase your vegan blue cheese and feta, they are not in my local stores.